Did someone say whoopie pie? Yes, please! A healthier take on a classic treat! These are amazing, only sweetened with honey, and super simple to make! That’s how I roll, I don’t have time for complicated, and I’m betting you don’t either. As a kid, my mom’s friend would make me these amazing chocolate mint cookies. They tasted like the holidays to me! 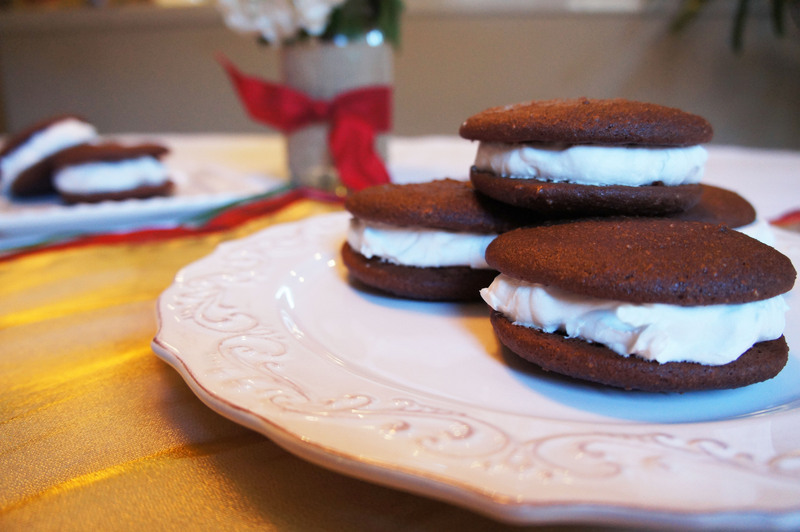 My favorite holiday cookie inspired these whoopie pies! This is my first holiday season eating a completely different way, but it doesn’t mean that I need to be deprived of anything, and neither do you! You can still have the occasional treat and feel great! Thank you so, so much for your support! !